I would use the Cozy Vanilla Sugar to set the mood. Cranberries and Frost:, would be perfect for any Holiday. winter magic &glow sounds great! Cozy Vanilla Sugar…that would do it! I would use the Cozy Vanilla Sugar. I’d love the cozy vanilla sugar! I also like the cranberries and frost. Cranberries and Frost sounds nice! Cranberries and Frost sounds great! Apple Spice & Delight: sounds great! Apple Spice & Delight. Thanks! I would choose the Holiday Bloom & Cheer scent. I would like to try the Winter Magic & Glow. The Winter Magic & Glow sounds so good! I would like Cranberry Frost, I’m sure! I would use Glistening Alpine to make a festive, tree filled Holiday scent for my home. I would like to try the Cranberries and Frost. i would love the Winter Magic & Glow scent it would get me into the holiday spirit! Cranberries and Frost sound amazing!!! Probably the Cozy Vanilla Sugar. I would like to use the Cozy Vanilla Sugar. I love the sweet smell of Vanilla. Cranberries and frost sounds fun- even though I can’t imagine what it would smell like! Cozy Vanilla Sugar would set the mood perfectly. they all sound like scents I’d use! definitely cozy vanilla…my fave scent! I’d like to try glistening alpine! I love febreze! I love vanilla and the lavender! I would use the Cozy Vanilla Sugar. I bet it smells great! Winter Magic and Glow – because it doesn’t snow in California. The Cozy Vanilla Sugar, because I really like vanilla. I would love to try the Cranberries and Frost. I would choose Cranberries and Frost. I like the Cranberries and Frost scent. I would like to try the Cranberries and Frost! I would choose Glistening Alpine. Thanks for the giveaway. Apple Spice and Delight, mmm! I am totally addicted to the holiday vanilla scent! I’d like to try the Winter Magic & Glow. I would like Winter magic and glow. Winter Magic & Glow sounds wonderful! I’d love to try the Winter Magic & Glow. Definitely the Apple Spice & Delight! Warm vanilla is my go to winter collectION! Hi I think I would love to try the Holiday Bloom & Cheer fragrance. I love Vanilla so Vanilla Sugar sounds pretty good. Apple spice and delight. It’s one of my favorite winter time scents. I would use the Winter Magic & Glow. Sounds like it would be a great pick me up! I would use cranberries and frost. It sounds so different and festive. Cranberries and frost. Thanks for the giveaway. I’d go for Vanilla Sugar. Yum! The Cozy Vanilla Sugar would be what I would use!!! Love vanilla! I would like to try the Holiday Cheer. The name sounds so delicious! Thank you for the great giveaway! I’d choose Cranberries and Frost! I would like to smell Glistening Alpine. apple spice sounds very holiday-ish to me! I would like the Cozy Vanilla Sugar scent. I think the Cranberries and Frost scent sounds like it would smell great! With out actually smelling each scent it’s hard to choose one but I’m going to guess and say I would choose the Cranberries and Frost Scent. They all sounds like they smell awesome and every one of them would remind me of holiday cheer. I already know and love Cranberries & Frost. I like that scent year round! Definitely Apple Spice & Delight!!! I think the Holiday Bloom and Cheer sounds like a fragrance I would like. I would use Cozy Vanilla Sugar. The Cozy Vanilla Sugar would be the best for us. Winter Magic and glow is the one I would choose. Winter Magic and Glow sounds intriguing. I’d love to try winter magic & glow. Cranberries and Frost sounds like the scent for me! Cranberries and frost sounds cozy for the cold winter months ahead. Cozy vanilla sugar and I would love to try all of them. I’d like the cozy vanilla sugar! I would use the and like the Cozy Vanilla Sugar. I’d use the Winter Magic & Glow. I haven’t had a good vanilla scent in the home in a while, so the Cozy Vanilla Sugar really sticks out for me. Cozy Vanilla Sugar — sounds so good — but I’d probably be hungry all the time! I would use Holiday Bloom & Cheer to set the holiday mood at my house! cozy vanilla sugar sounds awesome! I would use cranberries and frost. Winter magic and glow sounds like the perfect sent for my house! Love the smells of the holidays. Especially Alpine since we don’t have a real tree. I’d use cozy vanilla sugar. The Glistening Alpine for sure – love the scent of pine in winter! cranberries & frost is lovely! I’d like to try the Holiday Bloom and Cheer scent. I’d love the vanilla scent. Oh Man, I have already fell in love with Holiday Bloom and Cheer scent (purple one) and been through 2 cans of it. Cranberries and Frost! I love the Vanilla sugar, but it awakens my sweet tooth. I would use the Glistening Alpine. I’ll imagine I’m walking around in a tree farm deciding on the perfect tree. Cozy Vanilla Sugar! Thanks for the great giveaway! I think Cranberries and Frost would really set the Christmas mood! I’d love to use HOliday bloom & cheer. Definitely the Cinnamon. That always evokes the holidays for me. 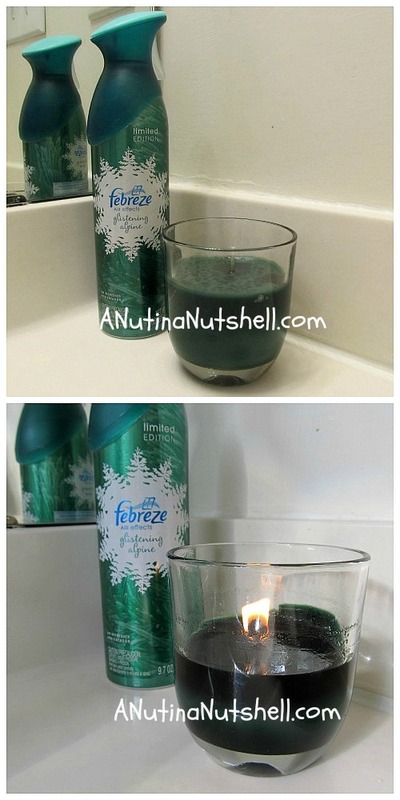 We always have a can of Febreze air freshener but I have never tried their other products. I would use the Cranberries and Frost scent to set the Holiday mood! apple spice and delight. I love cinnamon. i would choose holiday bloom & cheer! Cranberries and Frost should keep us in the Holiday mood. I’d like the Cranberries and Frost. Love the scent. Happy Holidays. I think Cranberries & Frost sounds like it would be wonderful. I would love my house to smell like Cozy Vanilla Sugar! I like cranberries & frost. I think that would set the tone for the holiday season and all winter long. Cranberries and Frost sounds like a great scent! Cozy Vanilla Sugar sounds so good! I’d use this scent – Winter Magic & Glow. I’d try the Winter Magic and Glow. I like the Cranberries and Frost. I would love the Cranberry! (febreze glistening alpine) sounds great! I would choose the winter magic & glow scent. Thanks for the chance. I like the Apple Spice and Delight would smell wonderful in the house! <3 all the Holiday Scents. I’d use cranberries and frost. Cranberries and Frost for me. Love the smell of cranberries! 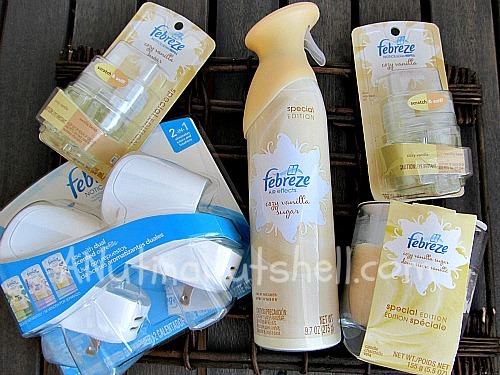 I love all febreze products and smells! Cranberries and frost sounds very festive and seasonal! Vanilla sugar for sure, but my husband gets pretty riled up about using food scents! He’s weird like that and says it makes him hungry. The Scent that I would like for the Holidays is the Cranberries and Frost! 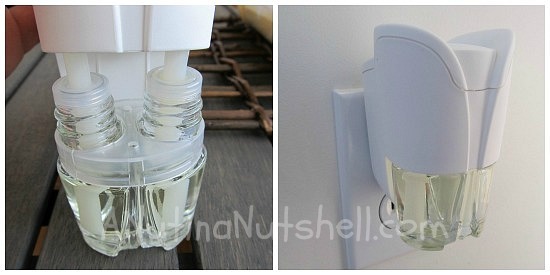 Love Frebreze products! Cozy Vanilla Sugar SOUNDS perfect! I would definitely use the Cranberries and Frost scent. I think I’d use Winter Magic & Glow. I would definitely use the Alpine scent! We have pets, so I think the Glistening Alpine would be a good scent! Winter Magic and Glow sounds so refreshing! The vanilla sugar looks really good! Which scent from the collection would you use to set the mood for the holiday season? Cozy Vanilla Sugar is right up my alley! Oh, and I’d most like to use Cranberries and Frost for the holidays. Who writes the descriptions of the scents? They make them all sound so wonderful! Apple Spice and Delight sounds wonderful. I like the cinnamon scent – I’d go like to try the apple spice. I wanna try the holiday bloom & cheer! Every season I try to get a new scent . I haven’t this winter-cuz , well let’s face it-u get a lil overwhelmed with christmas when you have kids! The Cozy Vanilla Sugar sounds so great. vanilla is always my go to scent! Cozy vanilla sugar sounds delightful! Probably would get the Glistening Alpine! NOTHING in the world better than a bit of piney woods smell.. I would like the Glistening Alpine. I would use the Winter Magic and Glow. I’d love the Cozy Vanilla Sugar. I really like the cranberries and frost, but like to try different things. I use the Glistening Alpine scent. I would use Cranberries and Frost or Winter Magic! winter magic and glow. sounds great. I’d use vanilla, it’s always been my favorite. I would like cranberries and frost. I like the Glistening Alpine! Thanks for the great giveaway and happy holidays! The Glistening Alpine sounds like it might smell great. It would be cozy vanilla sugar. Winter Magic & Glow sounds enticing. I would get the Glistening Alpine. Sounds amazing. I would use the Winter Magic & Glow scent. I’d love my home to smell like Cozy Vanilla Sugar for the holidays! That vanilla sugar would be my pick. Apple Spice & Delight would be a wonderful smell around our house during the holidays! I would love to try the Holiday Bloom & Cheer, sounds nice! Thanks so much for hosting this great giveaway! I would choose Winter Magic & Glow. Cozy vanilla sugar sounds good! Wow – didn’t know about the 4 hour rule!!! I do love the holiday scents the best!